Shaffer, Wilson, Sarver & Gray, P.C. (SWSG) is a full services design and construction management firm providing services to both public and private sector organizations since 1985. All architectural, engineering and construction management services are provided from our own in-house professional staff. SWSG offers traditional architectural, engineering and construction administration services regionally to both public and private sectors. Nationally and internationally we specialize in the design-build of mission critical facilities. 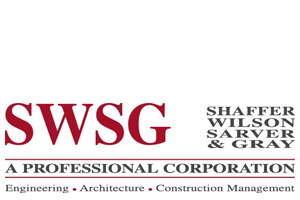 SWSG’s mission is to provide value added architecture, engineering, and construction management to all those we serve, and to always practice the high ethical standards of our profession for the welfare of the public at large.